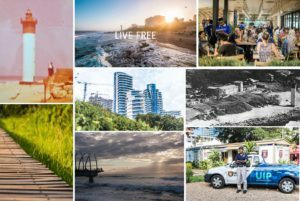 uMhlanga Rocks – a place of sand-castles and ice-creams, where families make lasting holiday memories; a location for business and investment; the Matric Rage go-to-destination; an ideal setting for friends to dine; a home for young and old. Follow navigation below for everything you need to know about uMhlanga Rocks. Use The uMhlanga Rocks APP For Local Knowledge. Why An APP For uMhlanga Rocks? Do you know what time the lifeguards go off duty, or where to buy a pair of shoes? How about which beaches are dog-friendly, or where to get your nails done? These are just some of the questions answered by our user-friendly and intuitive area APP. 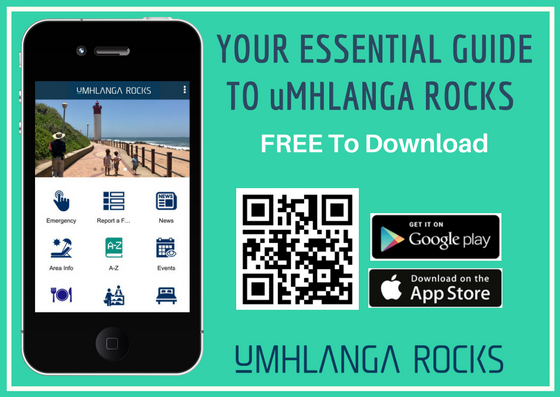 This APP is perfect for anyone visiting uMhlanga Rocks, from the Durban local looking for a wedding present, or a day visitor wanting to know about umbrella hire, to an uMhlanga Rocks employee on a lunch break or a tourist wanting evening entertainment. So what information is available on the APP? Shop Here – a categorised and searchable listing of places to shop in uMhlanga Rocks. Additional features of the APP include a link to a stunning video that captures the essence of uMhlanga Rocks; a link to the UIP website; a link to the uMhlanga Tourism website; a link to a form for business and or event listings, as well as a map of the area. Funded by the uMhlanga Rocks Place-Making Committee as part of its work to improve the experience of uMhlanga Rocks for all its’ users, the APP groups similar information together making it easier for people to access the exact information they need. uMhlanga means Place of Reeds in Zulu, referring to the beds of reeds that accumulate on the banks of the Ohlanga River a few kilometers north of present day uMhlanga Rocks. San hunter-gatherers were the first to make uMhlanga Rocks their home after which it was occupied by Nguni-speaking people. uMhlanga came under British control when it became part of the large estate belonging to the sugar magnate, Sir Marshall Campbell, who sailed to South Africa from Glasgow in 1850. Indian indentured labourers were brought in to work on the sugar estates in 1860. The Oyster Box Hotel, or “The Oyster Lodge” was built in 1863 as a navigational beacon. When a track was made from Mount Edgecombe to uMhlanga Rocks, the area became popular with the local farmers who leased small plots on the shoreline and built holiday cottages. In1952, the Oyster Box Hotel, then an overgrown property was sold to the O’Connor Family who started a tea garden, which was eventually turned into The Oyster Box Hotel. The uMhlanga Promenade was originally called the O’Connor Promenade. The Beverly Hills Hotel opened her doors in December 1964 as Sol Kerzner’s first hotel, and the first five star graded hotel in South Africa. Named after his daughter Beverly, Sol Kerzner built the hotel which attracted celebrities from abroad, and Maurice Chevalier and Marlene Dietrich were the first celebrities to grace the floors. The Borough of uMhlanga was formed in 1972 through the merger of uMhlanga Rocks and the suburb of La Lucia. The Borough of uMhlanga was incorporated into the eThekwini Municipality in the early 2000’s and uMhlanga Rocks now forms a strategically important node in the broader eThekwini Municipality. The Oyster Box Hotel is the official warden of the uMhlanga Lighthouse, with the controls in the hotel office where staff monitor the controls and report to Portnet Lighthouse Services. The uMhlanga pier was built in 2007 to re-route storm-water outflow into Granny’s Pool with the aim of improving the quality of the beach in area. The uMhlanga pier was voted by CNN as “The World’s Most Beautiful” in 2014 and the whalebone structure won the South Africa national award for outstanding engineering. The Nature Reserve boasts the remains of a prehistoricshell midden. Plans are in place for a reserve upgrade project with improved infrastructure; operational management and on ground safety services. This 65 hectare Hawaan Forest, protected from development since 1860, boasts over 100 indigenous tree species. The name Hawaan is thought to originate from ceremonies performed in the forest by Indian labourers that worked on sugar farms in the area. The Hawaan Forest now also falls within the Sibaya Coastal Precinct footprint and will be made accessible to residents and visitors alike through a responsible eco-tourism plan that will be managed by the Sibaya Conservation Trust. For now, as a way to maintain the pathways and forest itself, only guided walks through the Forest are allowed and can be arranged at the Breakers Resort in uMhlanga Rocks. The Oyster Box has been included in Monopoly Mzansi, along with Florida Road, Durban beachfront and uShaka Marine World, as top local destinations in the new version of the game. There are 2 official uMhlanga UIPs, theuMhlanga Promenade UIP (PUIP) established in March 2003 and the uMhlanga Village UIP (VUIP) established in July 2008. The PUIP and VUIP are collectively known as the uMhlanga UIP and represent 29 large erven, with the boundary from the Lagoon to Durban View Park, the sea and up to the M4. In KwaZulu-Natal, the Urban Improvement Precinct (UIP) structure is based on the Municipal Property Rates Act of 2004, which makes provision for the establishment of what is technically termed a Special Rating Area (SRA). The R5million paving upgrade project in the uMhlanga Rocks Village completed by the eThekwini Municipality is one of the best examples of the effective partnership between the City and the UIP. The value of reinvestment and upgrade in uMhlanga Rocks since 2008 is estimated at +R1 billion and includes work completed on Breakers Resort; uMhlanga Sands; Cabana Beach Resort; Oyster Box Hotel; uMhlanga Centre; Protea Hotel, and many other residential complexes. Investor confidence in uMhlanga Rocks is evident, with new or current developments said to total a conservative R5billion, and include Beacon Rock (phase1) @ R500 million; The Pearls of uMhlanga @ R1 billion; The Oceans Development @ R3.8 billion. The combination of reinvestment + new investments total + R6 billion and an additional rates base to the City of +_ R105 million p/a. If you are fishing – catch for food only. Stick to Marine Fishing Guidelines and if the fish is undersized, release it quickly and carefully. Do not leave any litter, bait, fishing hooks or line on the beaches or rocks. The UIP provide bags and bins at the stairs to the beaches and encourage you to make use of them. Make sure you have a fishing license on you at all times and understand the conditions and laws associated with them – fishing licenses can be purchased at the uMhlanga Rocks post office located opposite Beacon Rock. While our rock pools are awesome spaces for children to play in, please encourage them not to poke and prod the sea life and corals but to rather look with their eyes. To help educate your children (and yourselves), Tidal Tao – snorkelling guides and ocean conservationists, have developed a fantastic brochure on the sea-life on the KZN rocky shores – available here. In terms of choosing fish to eat (either caught yourself or in a restaurant) choose wisely and with sustainability in mind. This WWF SASSI List of fish on the green / orange / red lists will guide you. 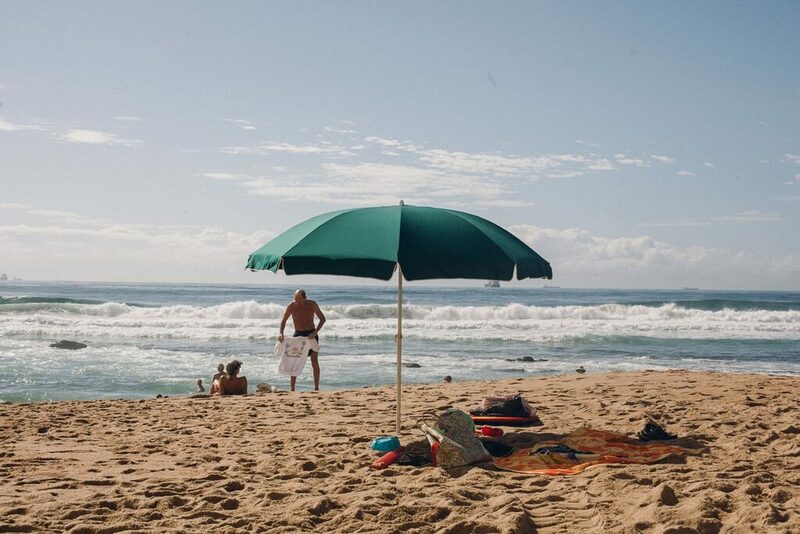 Umbrellas and chairs can be hired at Main and Bronze Beach for R35 per item per day item . There are 2 lifeguard guard towers, 1 at Main beach and the other at Bronze beach – the life-guards go off duty at 18h00 in summer. uMhlanga Rocks beaches are protected by shark nets that are manned daily by the KZN Sharks Board. The beaches and promenade are well managed, well lit and a true asset to the area, so make full use of them but respect their beauty. The promenade restaurants are primarily located at Main Beach, Cabana Beach Resort and uMhlanga Sands Resort, however, there are food vendors at Bronze Beach and the new pier. The boat launch site is known as “granny’s pool” and is surrounded by rock pools perfect for children. While it is lovely and calm in granny’s pool, please note it is a boat launch site and is not an official swimming area. Keep your valuables out of sight – EVEN WHEN TRAVELLING! Do not drink and drive – KwaZulu-Natal has a zero tolerance policy. Rather make use of a reputable taxi company to get home safely. Should you wish to use a taxi, your hotel or the local tourism information centre will recommend a reliable service to you. When your transaction is complete, secure your cash and move off immediately. You can count it later. 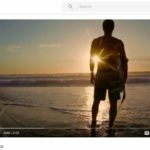 A DNA and place vision? What are the tangible benefits? 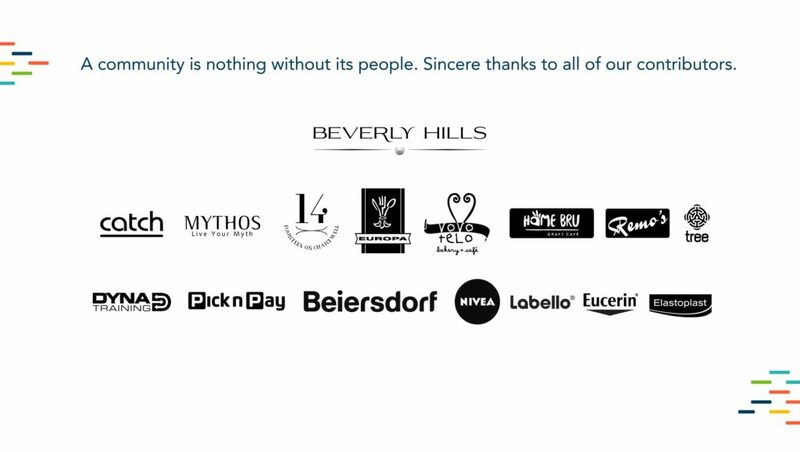 uMhlanga Rocks recognises the invaluable contribution businesses played in making the launch function on 25th November possible.